While specific job descriptions can vary from company to company, most automotive business development managers are in charge of finding ways to increase sales and partnerships. Some business development managers work at the regional level. They might coordinate marketing strategies to boost the company's regional sales. Others work at the dealership or manufacturing level. Since people in this position often have complex duties, they need strong management and organizational skills. The ability to multitask can also make people in these positions more successful. Employers usually prefer hiring automotive business development managers who have bachelor's degrees in business, management, or related subjects. While not always necessary, it may also help to have experience working in the automotive industry. For instance, someone who has a bachelor's degree and experience working as an automotive mechanic may have more opportunities than someone without that experience. While automotive sales fell during the economic recession, they have since returned to their pre-recession numbers. 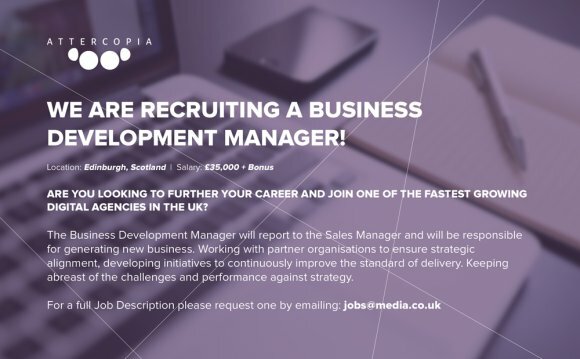 Assuming that car sales continue to grow, the number of jobs for automotive business development managers should also increase. According to the Bureau of Labor Statistics, business development managers earned a 2012 median pay of $95, 400 per year. Where a professional works, however, can significantly influence how much she or he makes. Jobs that pay the highest wages are usually located in New York, New Jersey, District of Columbia, and California. Those who wish to make more money may want to pursue opportunities in those states.